Something Wicked This Way Nuns! Home » Events » Something Wicked This Way Nuns! 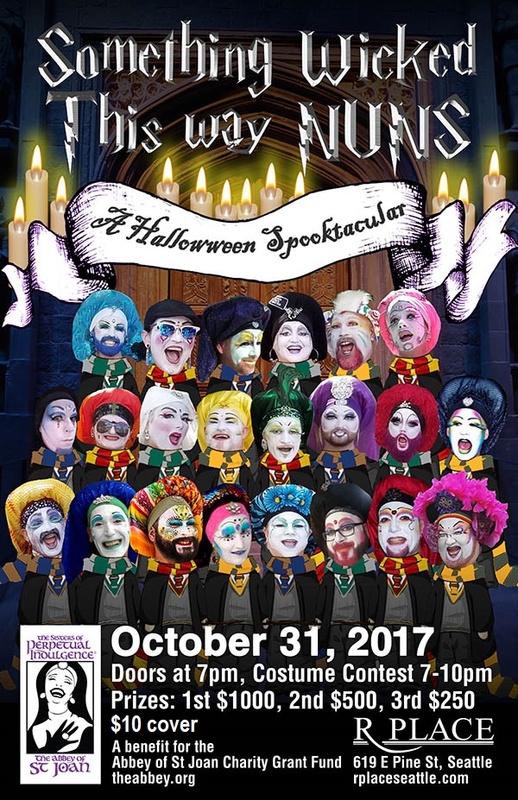 Join the Sisters of Perpetual Indulgence as we celebrate the High Holy Day of the queer life, HALLOWEEN! It is going to be a grand time. Come in your favorite costume for a chance to win fabulous prizes! All proceeds from the event will go to the Sisters of Perpetual Indulgence Charity Granting Fund!